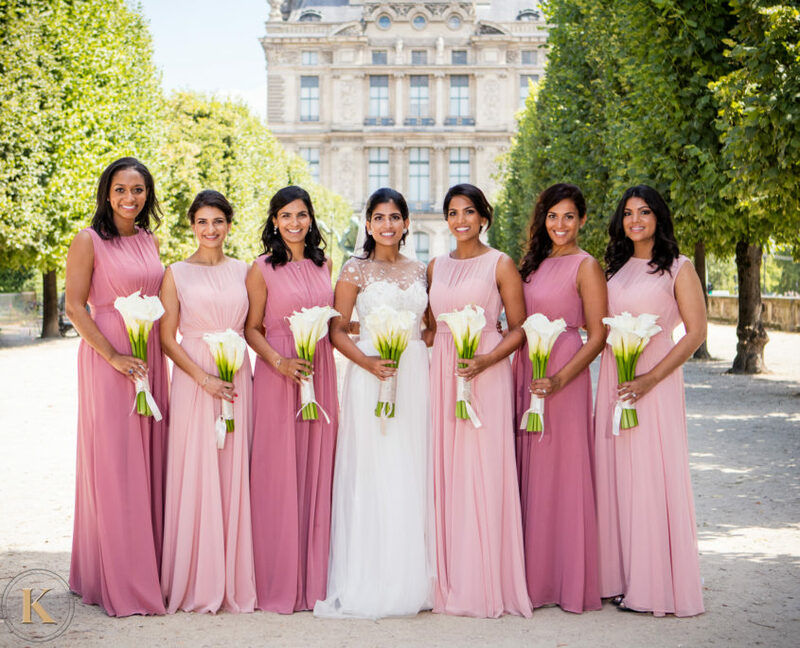 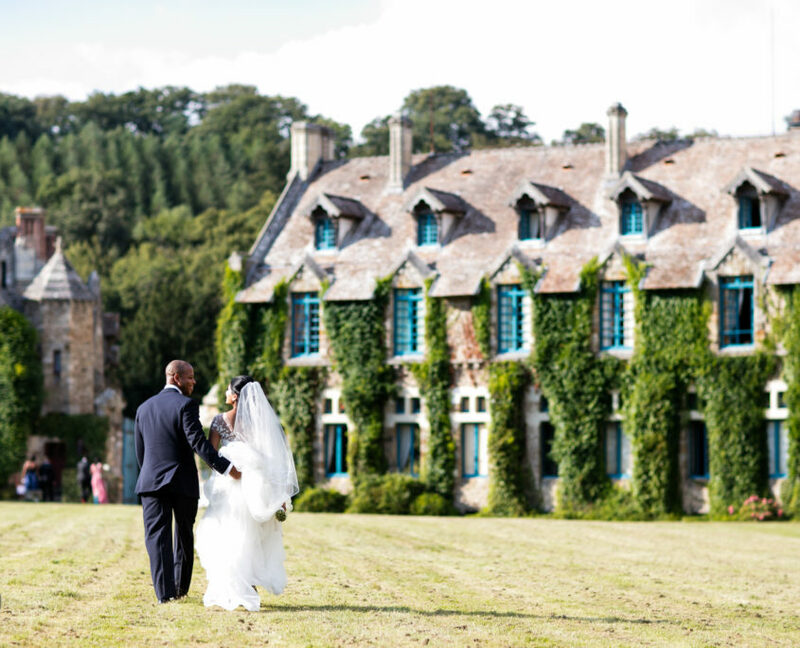 After a romantic engagement in Paris, NYC-based couple Olivia & Donovan naturally decided to return to France for their wedding celebration. 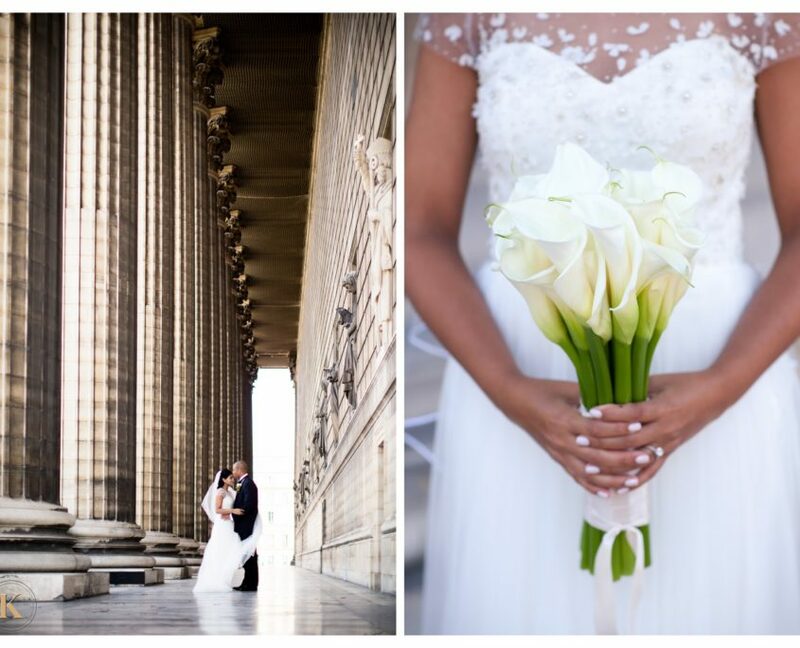 After portraits photos around the sights of Paris, the wedding party joined the couple in the Tuileries Garden just before show time at the church. 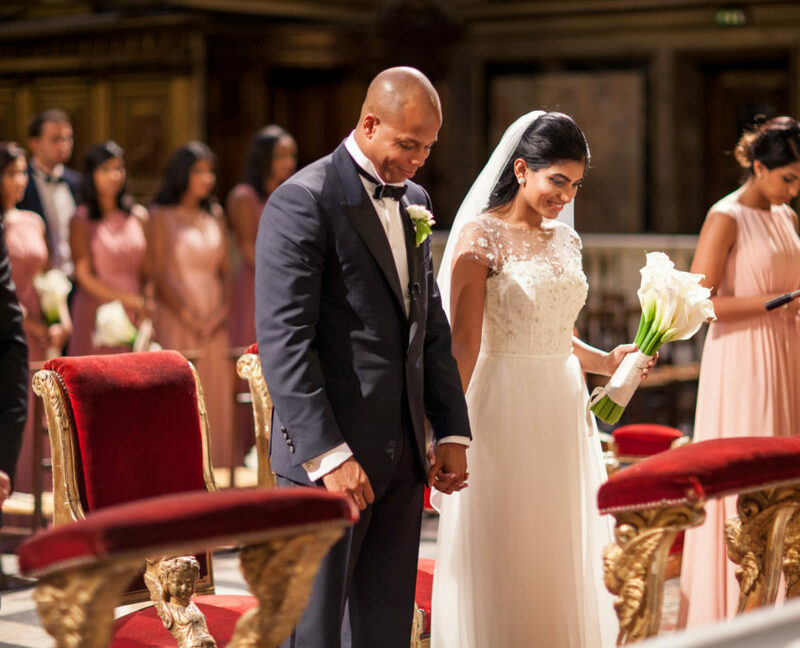 The bride and groom exchanged their vows in a neo-classical church in the center of Paris and then zipped off to the reception in a very chic Bentley Mulsanne. 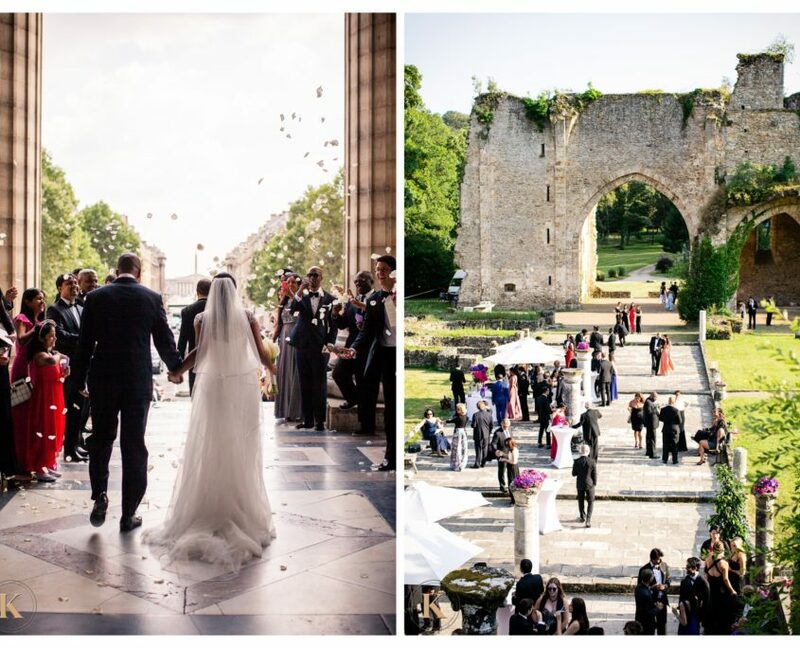 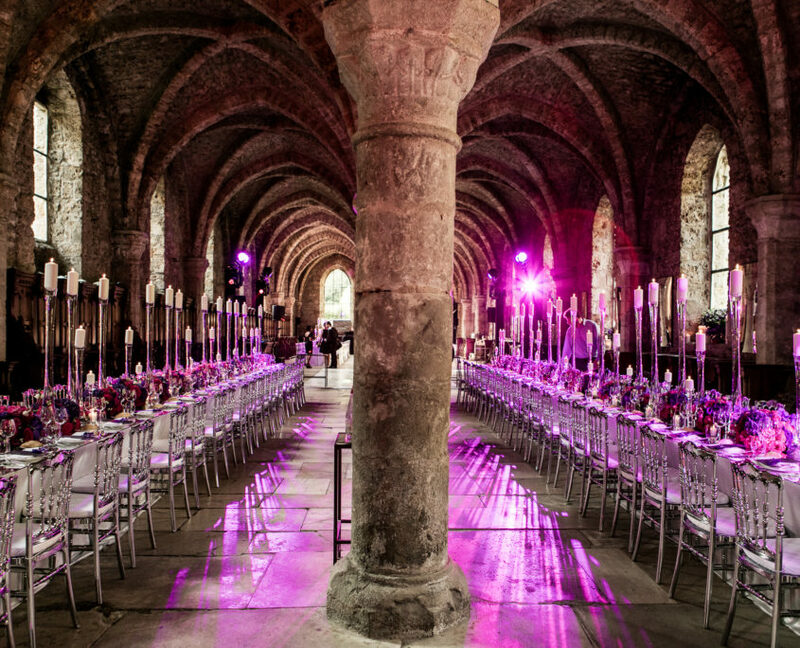 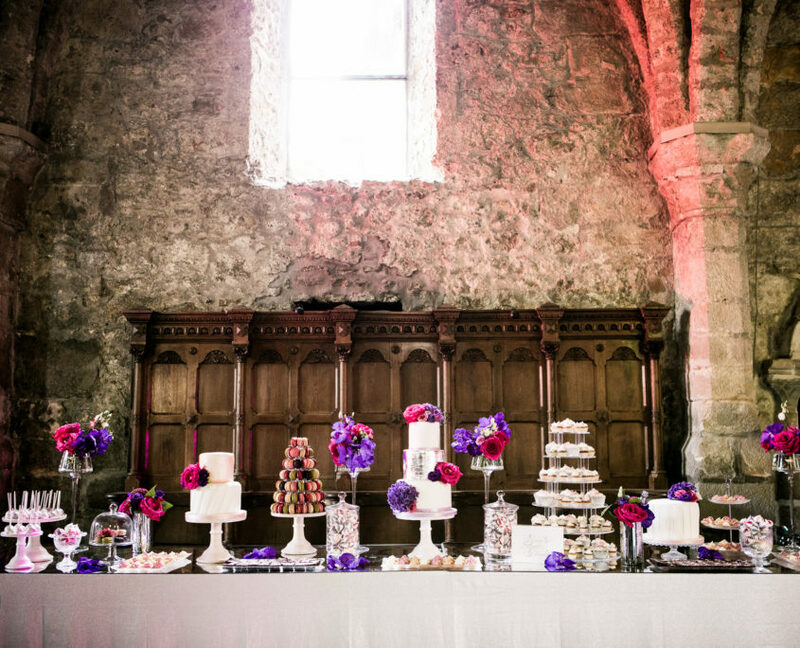 The castle was made of gorgeous stone buildings, stunning cathedral ruins and an impressive reception room with gothic arches. 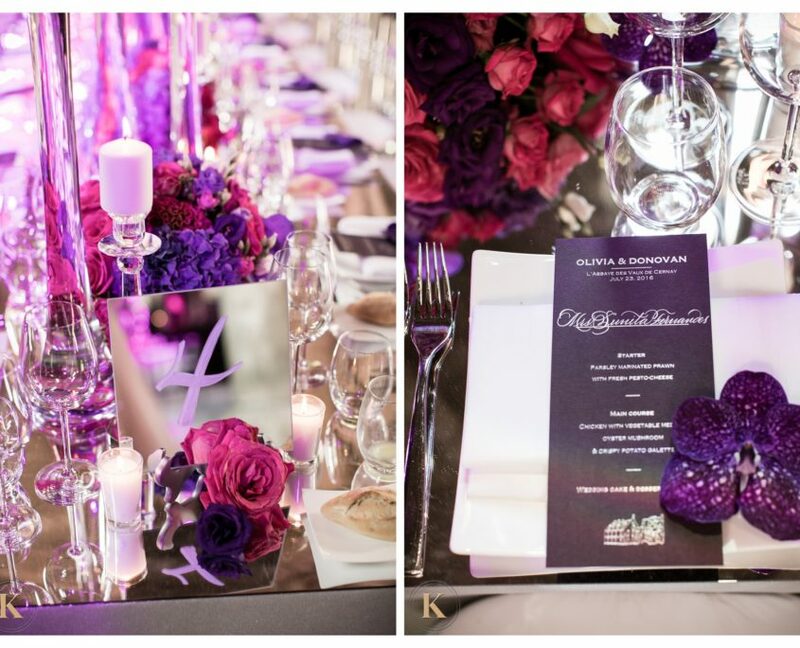 Florals in vibrant hues of ultraviolet and fuschia were set on mirrored tabletops lending a modern vibe to the historic setting. 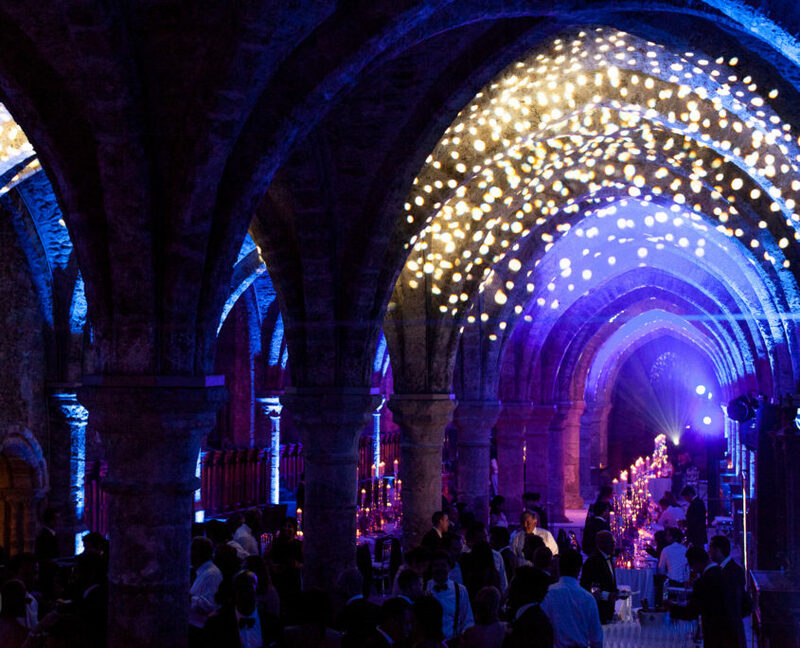 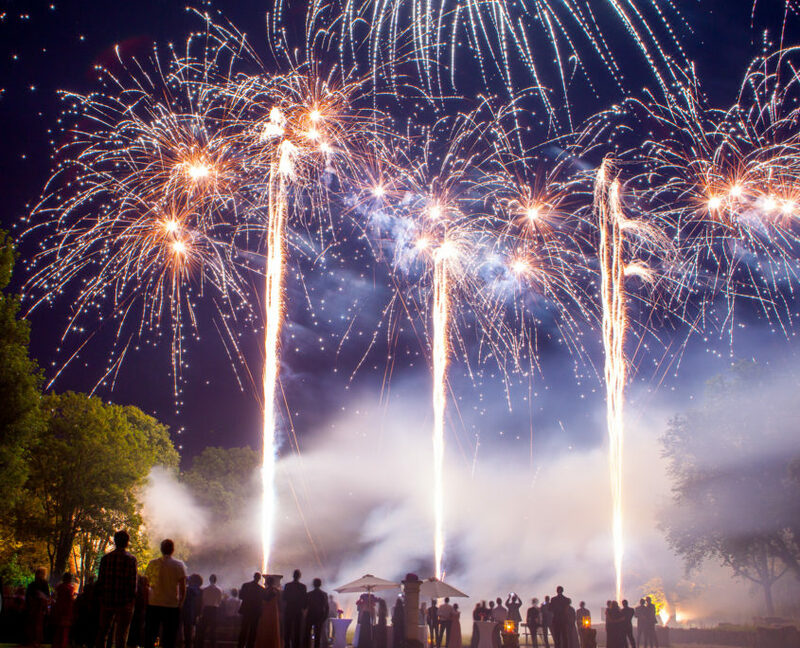 The architecture of enhanced with beautiful lighting for the couple and their guests to dance all night long.